The world is changing faster than ever before. Multiple ‘mega trends’ – such as digitization, urbanization and climate change - are fueling this incredible era of transformation. 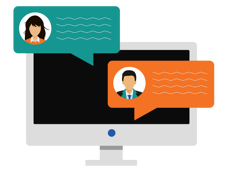 How will these trends affect workplace communications? What strategies should employers consider when planning internal communications? And which innovations will deliver true value? Here’s a summary of what’s heading your way. For the first time ever, companies will employ staff spanning five generations (Silent Generation, Baby Boomers, Generation X, Millennials and Generation Z). Each of these cohorts will have preferences for communication formats. Some will remember a time when email did not exist. Others are digital natives, fully at ease sharing information with their private and professional networks. This blended population means communicators must rethink their routes for engaging employees’ hearts and minds. One size no longer fits all. Employers will extricate their reliance on the overused, woefully out-of-date email channel, and choose more effective tools fit for purpose. Video, for example, will continue to rise in popularity, partly driven by the huge popularity of YouTube, and its adoption by millennials as being a great source of advice and inspiration, and partly due to videos becoming easier and cheaper to produce. Employers will continue to embrace collaborative environments to foster team work while broadening the methods for top-down communications. An increasing number of companies will leverage mobile and messaging apps to reach workers. With smartphone ownership now at 77% (in the US) - increasing to 97% amongst the fastest growing workforce contingent, millennials - these devices offer a smart solution for employer-to-employee comms. Confirming this trend is SnapComms own data: customer uptake of SnapComms mobile messaging app has leapt – with a 58% increase in uptake compared with the previous 12 months. This form of training is no longer just for astronauts, pilots and train drivers. VR (virtual reality) training will move into the mainstream. Employers will use VR to train staff and contractors in near-identical working conditions that’s replicated by technology. For example, BP’s VR training program features the same rocks, temperatures and physical features as its oceanic drilling operation. This hands-on, scenario-based approach enables the drilling team to visualize specific tasks, learn new skills and prepare for emergencies. 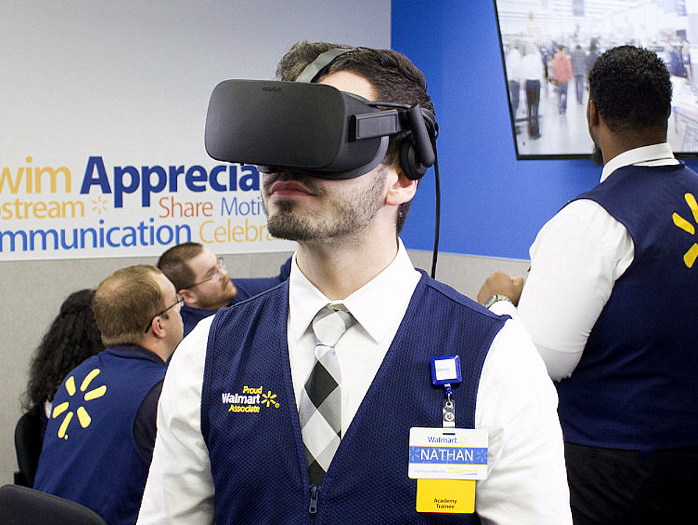 Meanwhile, Walmart is already pioneering VR as part of its training strategy for 140,000 employees, recreating Black Friday and holiday shopping season scenarios via simulation VR. As the quest to reduce overheads escalates, so too does the number of jobs being automated. A recent Forrester report estimates that 25 million jobs will be eliminated over the next decade (stealing the glitter off of the 15 million new jobs expected to be created as a result of automation). ‘Flippy’, the flipping burger robot is just the tip of the iceberg. Several hotel and airline check-ins now have robotic welcome staff, and an increasing number of menial or dangerous work will fall on the shoulders of androids. This new electronic workforce will mean many of today’s internal communication topics will become redundant. No need to remind a robot to fill out their 401k form, to wash their hands to prevent the risk of spreading germs, or to read the latest health and safety policy. Internal Communications (IC) will continue to move from the analog world into the digital world, the same way most other functions have. This means incumbents must develop skills to leverage new technology. From analyzing data into meaningful insights; briefing IT teams to ensure a ‘user-centred’ digital experience; and managing multiple internal comms channels and their integration within the rest of the organization, are just for starters. Climate change will continue to impair business continuity, placing extra pressure on IC teams to keep staff in-the-picture. Hurricanes, severe snow storms and flooding will impact infrastructure – such as data and transport networks – which in turn will affect employees’ ability to do their job, their welfare, and whether they can travel to and from work. These crisis events will see IC teams take the lead on cascading emergency response comms and provide a central point of contact as a situation unfolds. Staff will have endless questions surrounding workplace closures; capacity to work remotely; and HR related matters i.e. will they still get paid even though their normal workplace is out-of-bounds. Consequently, there will be greater emphasis and budget-need for emergency comms to guarantee timeliness and reach. Embedded technology into wearable items is already becoming popular for consumer brands (think Nike’s NBA Connected Jersey which gave fans exclusive access and special privileges). There’s every reason this tracking technology will take off in the workplace: near field communication (NFC) chips embedded into staff uniforms present a new way to communicate, especially when information is needed on-the-spot. Use cases could include checking stock levels by shop-floor staff; health and safety reminders for employees moving through a hazardous environment; to important updates for highly mobile staff, such as hospital workers. When Deloitte introduced its leadership training game ‘Badgeville’, it saw the average time to complete the curriculum reduce by 50%, and a 46% leap in return visitors to the site – a strong signal of engagement. Psychological and practical reasons are behind gamification’s undeniable growth: by offering recognition and status in the form of digital badges and leader boards, employees are incentivized to improve their own score, test their knowledge, and/or compete with their colleagues. By 2020, the gamification industry’s revenue is expected to reach $11 billion (US). And while we’re yet to see the workplace equivalent of Angry Birds, expect gamification to take a priority place as a useful tactic to motivate employees, particularly in sales, customer support, training and general engagement. An organization’s brand DNA will come under greater scrutiny as young workers seek employers with aligning values. But nurturing an employee brand doesn’t happen by accident. Even when the strategy has been defined, the hard work kicks in when trying to communicate it, so staff can understand and embody it. Those with creative communication skills – think video producers, writers, animators, visual artists and presenters – will be in demand to tell your brand story in a meaningful and authentic way. 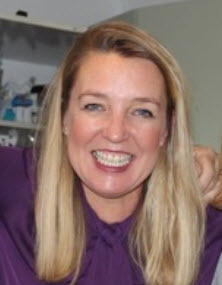 Effective and creative comms will go a long way to attract and retain the best fit employees. In summary, none of these predictions will happen overnight. But the next year will see a palpable shift from just talking about these futuristic ideas to actually applying them. 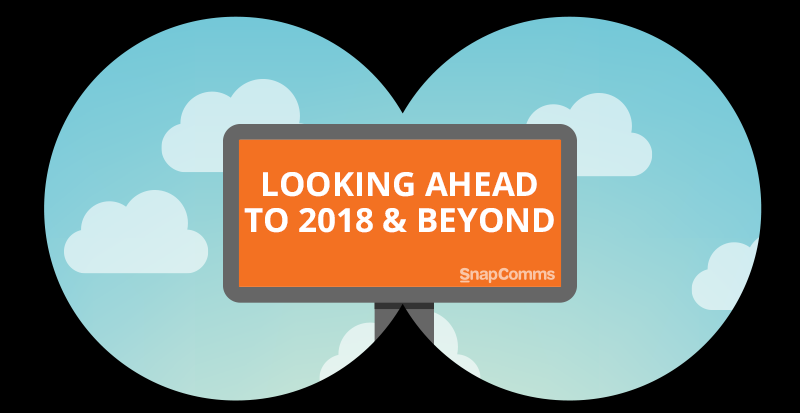 Now check out our internal communication trends for 2019 or look back at 2017's predictions to see if they came true.